William A Busson was the eldest of four children of William Edward Busson (farm bailiff) and Elizabeth (nee Batchelor). Birth registered in Q1 1887 in Rugby, Warwickshire and he was baptized 30 January 1887 in the Parish of St Matthew’s, Rugby. Mary Ann Busson was baptised 27 April 1888 in the parish of St Andrew, Rugby, where William Busson lived at 854 Old Station, occupation, an engine cleaner, John Henry was baptised 22 August 1890, in the same parish, the family abode recorded as 15 Little Elborow Street and father had the same occupation. Ernest Charles was baptised, 14 January 1894, in the parish of St Matthew’s, Rugby, abode recorded as Little Elborow Street and father’s occupation, a labourer. In the 1901 Census, William Alfred was found at an Industrial School, Gem Street, St Mary, Birmingham, aged 14, occupation as tailor. His Attestation Papers have not been found, presumably in burnt records. 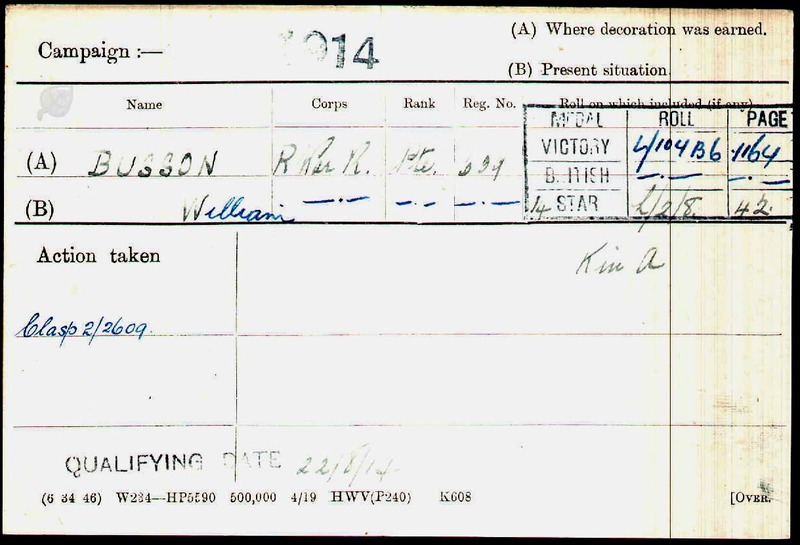 Below is William Alfred Busson’s Medal card. 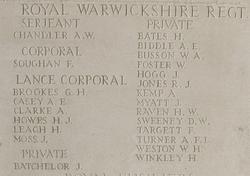 Rank: Private, Service No: 609, Date of Death: 26/08/1914, Age: 29 Regiment/Service: Royal Warwickshire Regiment, 1st Bn. An extract from The Rugby Advertiser, 21 October 2014. Son of William Edward and Elizabeth Busson, of 30, Sun St., Rugby. Note: Private, Royal Warwickshire Regiment. Age: 29. Plot: Final resting place unknown. Name listed on the Memorial. La Ferte-sous-Jouarre is a small town 66 kilometres to the east of Paris, located on the main road (N3) running east from Paris. 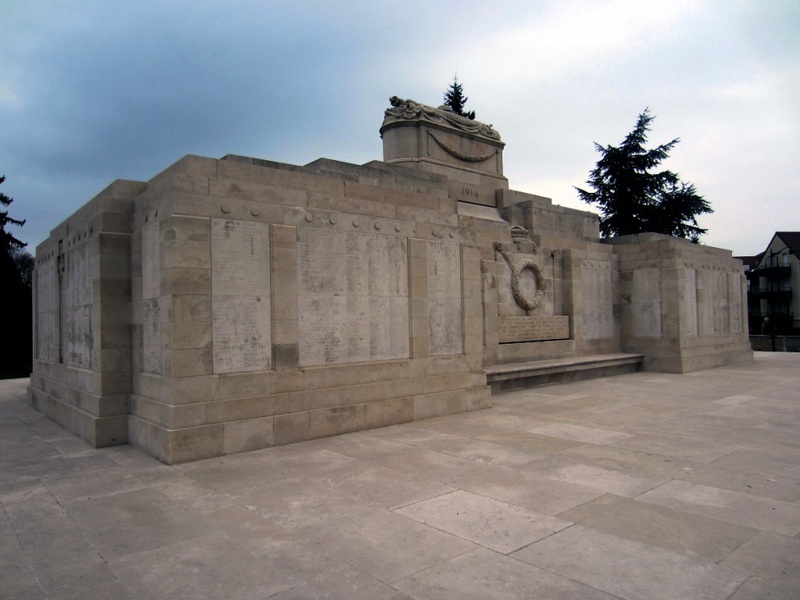 The Memorial is situated in a small park on the south-western edge of the town, on the south bank of the River Marne, just off the main road to Paris, The Memorial Register is kept at the Town Hall. 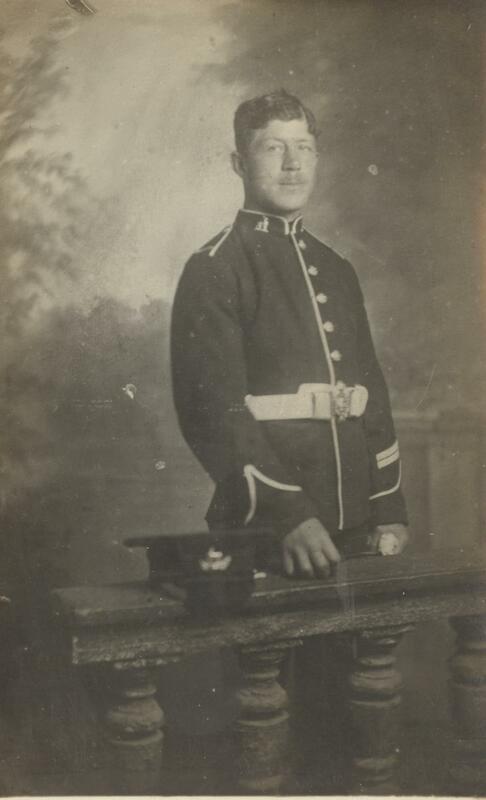 This entry was posted in Biography and tagged 1914, Busson, Royal Warwickshire Regiment by Christine. Bookmark the permalink.